1,000 Likes for a Cat? Your kids want a pet but you are not really willing to go along with that idea? Don’t challenge them, they will most probably surprise you! This is the story of Marise Papile Urbano who together with her brother wanted to adopt a cat… but their dad would not let them get one so easily and challenged them to gather over 1,000 likes on Facebook before he would accept to bring in the pet…. And the rest of the story? 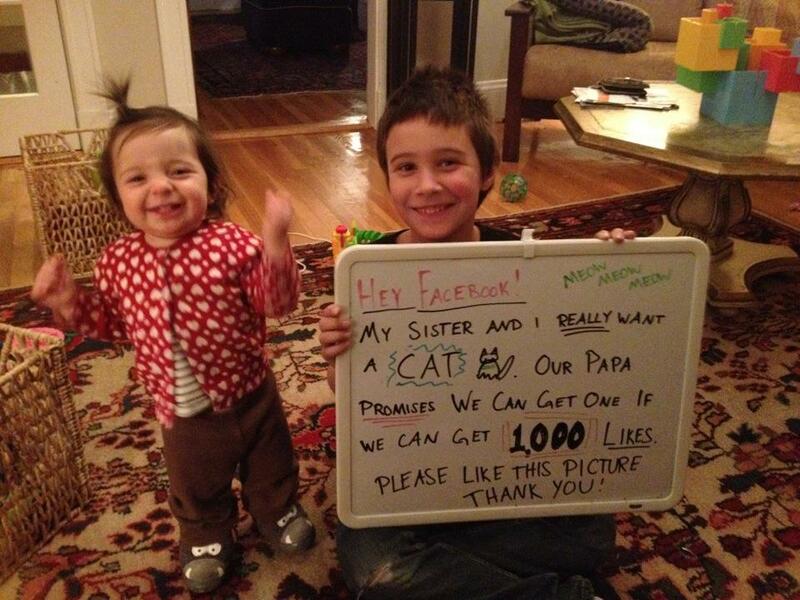 Well the magic of Facebook happened, the kids got over 130,000 likes on their photo and Daddy went to get a cat!